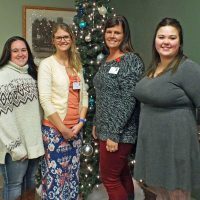 The new Allegan Neighbors Fund, to provide meaningful assistance for individuals and families without the adequate means to afford the necessary health care they need. The new Touches of Home Fund provides added quality of life amenities in our patient rooms and other areas of the hospital. We seek to enhance the patient experience and foster positive interaction between patients and their loved ones. Scholarship Funds for Allegan General Hospital Employees, and for area High School Students Pursuing Health Care Studies in Higher Education. Special funds named for Schuyler Mellen, Marie Hall and Debra Rae Daniels help to support the scholarship programs available through the AGH Foundation.